As part of this commitment we recently hosted the 2019 KPMG graduates at our office in Auckland to participate in our Xero training program. This program consisted of interactive workshops, seminars and product demonstrations, all designed with the intention of giving grads the best possible start in their professional careers. The program formed part of KPMG’s annual graduate induction week where new-starters took part in a variety of different training sessions to further develop their knowledge and skills, along with an overnight stay at a marae to connect with one another and partake in team building activities. The Xero training for practice graduates involved a lot of learning and team bonding. We spoke to Jon Holmes, Partner at KPMG, about his view of the experience for the graduates. Tell me a bit about why KPMG decided to include this program in their induction week. At KPMG we are focused on fuelling New Zealand’s prosperity and Xero forms an important part of this prosperity given the large number of businesses that use their platform. Our graduates have acquired a lot of technical knowledge through their time at university and we try to overlay that with more practical knowledge from early on in their career. Having them become Xero accredited ensures they are more efficient and effective in using the tool – providing better outcomes for both our clients and KPMG as a business. We drove this project with a few people from the Xero education team who have been outstanding (thanks Olivia and Danielle!). This week is our graduates’ first opportunity to meet each other and start to form deep relationships with their colleagues. We wanted a fun and exciting environment and the Xero training for practice graduates seemed like a great way to facilitate that. What do you expect them to learn from this program and how is it beneficial? Learning the foundations of the Xero product is so important; it is critical our graduates understand the basics of the accounting software that our clients use. 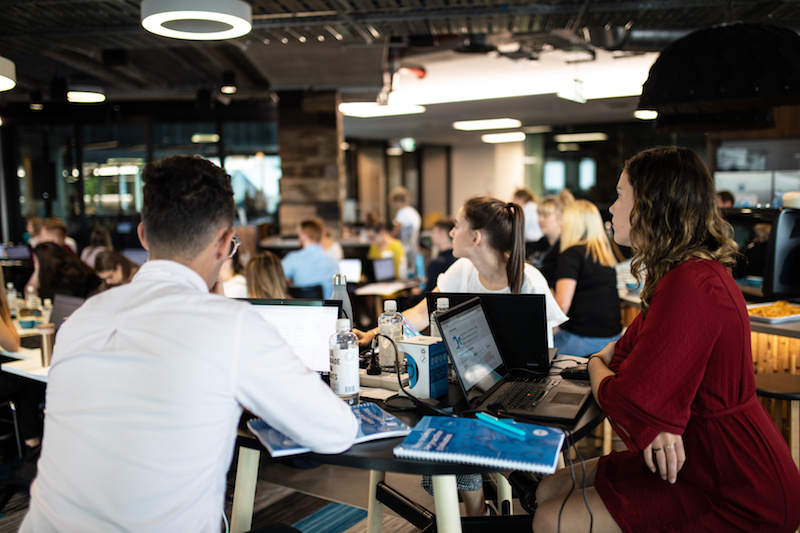 Most of them would have touched on the Xero platform as part of their small business accounting learnings at university, but we want them to have a deeper understanding of the product. They won’t come out knowing everything, but they will have a better understanding of what they don’t know and where they can go to continue their learning. The bulk of our Enterprise and many of our Audit clients use Xero, so we want our graduates to know more than just the basics. By having the Xero team host and run the training it made for a more engaging and interactive experience than webinars and online courses. It also allowed our graduates to ask the Xero team in-depth questions and understand the ‘why’ behind certain tools. We worked closely with Xero to tailor the day’s content towards the components that we’ve found are important to our clients, helping to ensure our graduates take a client centric mindset from the outset. What would you say to other firms considering taking part in a day like this for their graduates? I strongly encourage all firms to invest in accrediting their people. As our industry evolves and the reliance on manual compliance activity decreases, we need to focus on being business advisors, and this is an easy and step towards that. The learnings from this day will form solid foundations for our new starters and set them up for the years to come. If you consider the habits and efficiencies formed from this training, the benefits far outweigh the cost! Do you find that your graduates who have been Xero Advisor certified perform better in the workplace? There’s no doubt about it. As I mentioned earlier, many of our clients use Xero so we need to ensure our people understand it deeply. As an accounting firm we’re responsible for giving our people the tools and training they need to provide the best possible service to our clients. The more we engage with complex software offerings, like the apps in the Xero ecosystem, the closer it brings us to that no-touch accounting. Unless firms like ours are ready for that evolution, we’re going to get caught out. KPMG doesn’t want to be a fast follower, we want to be leading this accounting revolution through deep investment in the skills of our people. 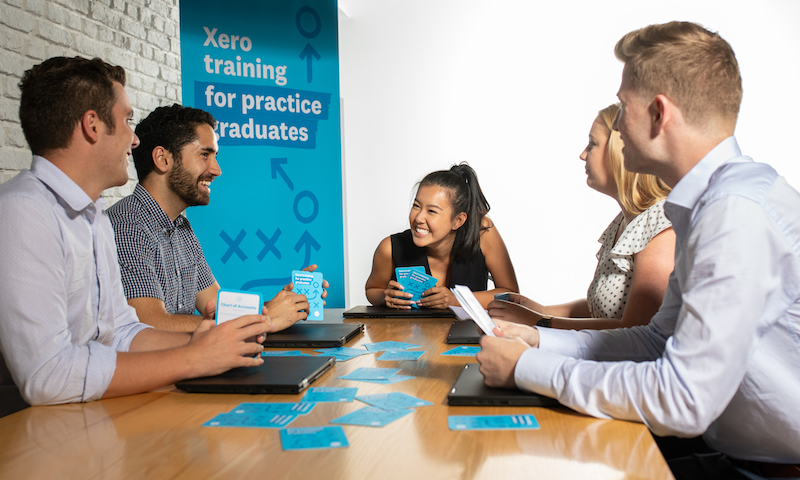 The post Xero training for practice graduates: KPMG grads get stuck in appeared first on Xero Blog.